NAMA Recovery of Tennessee: A Heroin-Sodden Holiday ...with Hope! A Heroin-Sodden Holiday ...with Hope! 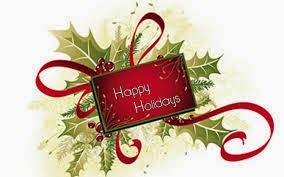 The joy of the winter holiday season has started to permeate the air. Christmas trees are beginning to light up the windows of homes lining southern towns as other families anticipate lighting the Menorah on December 16th for the first night of Hanukkah. Holiday parties fill weekend planners and seasonal music flows through shops and restaurants. For many people it truly is the "most wonderful time of the year." But the sad reality is that not all families will be celebrating this holiday season, as many will grieve the lives lost to the opioid addiction and overdose epidemic that is plaguing the southeastern region and the United States at large. Addiction and overdose take no holiday from destroying or taking lives, and this year there is particular reason for alarm as reports of heroin begin to dot the map in rural areas where even five years ago it had never before been seen. It's important that we understand opioids are opioids in regards to the receptors in the brain they "activate" as well as their common pharmacological properties. Oxycodone and heroin can result in the same damage to the natural opioid system in the brain despite one being considered a legal medication and the other an illegal street drug. Due to the history, societal attitudes and legal status of the different opioids, however, they also must be viewed through individual lenses as well. In a recent interview for Huffington Post, Dr. Phillip Coffin, Director of Substance Use Research at San Francisco Department of Public Health, said this: "The prescription opioid user population is different from the heroin user population. People who take prescribed medications often think that overdose only happens when people use illegal drugs or take 100 pain pills. They don't see themselves as at risk for drug overdose, even if they clearly are." The Centers for Disease Control and Prevention (CDC) reported that from 1999-2010 there was a 250% increase in the number of young adults who have died from a prescription drug overdose. That is roughly eight young adults per day, and most experts suspect those numbers have continued to increase. The total number of deaths for the entire population is much, much higher, but it is a striking sign of the severity of the epidemic we're facing that just our young adults alone have begun to die from prescription overdose at a rate two hundred and fifty times greater than they were just fifteen years ago. Part of this is due to the inaccurate perception that prescription opioids are somehow "safer" than street drugs like heroin, and it's important that we educate the public, and especially young people, that opioids are opioids and are equal opportunity destroyers when taken recreationally or abused. Another point of concern with the increase in recreational prescription opioid use and associated overdose over the past decade and a half is the fact that the abuse of prescription pain medications drastically increases the likelihood that an individual will use heroin. The National Survey on Drug Use and Health (NSDUH) completed by the Substance Abuse and Mental Health Services Administration (SAMHSA) of the U.S. Department of Health and Human Services found that one in fifteen people who take non-medical prescription pain relievers will try heroin within ten years through data spanning from 2004 to 2010. In short, the rise in people who try prescription pain relievers recreationally or illicitly has a direct correlation to the rise in the number of people who use heroin - and also a direct correlation to the number of individuals who will die from overdose, both from prescription pain pills and heroin. This data from the NSDUH is bolstered by the CDC's data from 2010-2012 that shows the death rate from heroin overdose doubled in just that two year time span, and while it is true that opioids are opioids, the currently illicit nature of heroin results in heroin users being three times more likely to be dependent and addicted. The NSDUH found, for example, between 2004-2010 that 14% of non-medical prescription pain reliever users were dependent, while 54% of heroin users were dependent. All of these statistics help us understand that the opioid addiction and overdose epidemic we continue to hear about on the news and in professional journals, on our Facebook Newsfeeds and in support groups across the nation, is as real and critical as it has ever been. Heroin use as well as heroin addiction and overdose are on the rise, and with heroin use also comes an increased likelihood than an individual will begin to engage in intravenous injecting behavior. Due to the fact that there is still no national program or official federal funding for syringe exchange programs or other harm reduction interventions, injection drug users in the United States have HIV infection rates that are 28 times higher than the rest of the adult population. Hepatitis C (HCV) infection rates remain significantly higher for the injection drug user population as well - both those in active addiction and those who have found recovery. What, then, are we to do about this addiction and overdose epidemic that is simultaneously making individuals more likely to contract chronic health conditions like HIV or HCV? How can we lower overdose death rates, foster recovery and decrease the chances that individuals will contract HIV or HCV? Despite all of these grim statistics this holiday season there is also reason to have HOPE! We have long since known from a multitude of studies that providing medication assisted treatment (MAT) with methadone and, more recently, buprenorphine helps impede the spread of HIV and HCV, but little was known about young adults. A new study funded by the National Institute on Drug Abuse (NIDA) that started in 2000 was recently completed and has now shown that young adults receiving methadone or buprenorphine maintenance had more than 60% lower incidence of HCV infection than those receiving no treatment. Other forms of treatment, such as abstinence-based interventions and methadone or buprenorphine detoxification, were not associated with such reductions. This NIDA-funded study now gives us solid evidence that supports expanding MAT to this group, to young adults, as well. 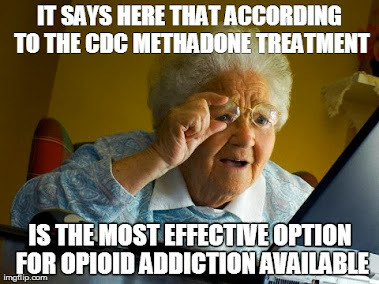 In addition to lowering new incidence of HIV and HCV, organizations like SAMHSA, NIDA, the World Health Organization (WHO), the Institute of Medicine and the National Institutes of Health (NIH) have long published findings and issued statements making it clear that MAT also can drastically lower opioid overdose and death rates, with the NIH going so far as to deem methadone maintenance treatment, specifically, the "gold standard treatment" for opioid addiction and the World Health Organization adding methadone to its list of "essential medicines." We know how to turn the tide on this opioid addiction and overdose epidemic. We know how to decrease the likelihood injection drug users will contract HCV and/or HIV. The answer is by increasing access to and expanding funding and coverage for medication assisted treatments with methadone and buprenorphine on a maintenance basis. 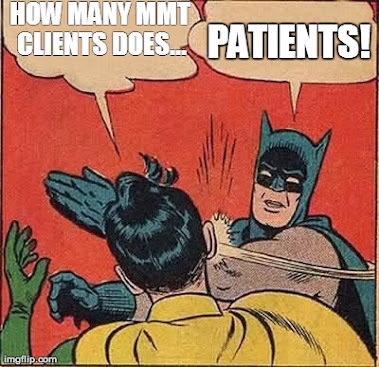 Finally, it seems, the mound of evidence and research in support of the public and health benefits of medication assisted treatments has not fallen on deaf ears. This past month Michael Botticelli, Acting Director of the White House Office on National Drug Control Policy (ONDCP), gave the opening speech at the 10th Annual National Harm Reduction Conference in Baltimore, Maryland where he laid out the ONDCP's commitment to sentencing reform for non-violent drug offenses, prescription drug abuse prevention and promotion of medication assisted treatment to help individuals stop using illicit opioids. This was the first time an official representative of his caliber from the ONDCP has ever attended a national Harm Reduction Conference in person, let alone gave the speech that opened the entire conference. Michael Botticelli will also be a plenary speaker at the 2015 national conference of the American Association for the Treatment of Opioid Dependence, Inc. (AATOD) in Atlanta on April 1, 2015 as well. Michael Botticelli is not the only federal official to lay out policies and a commitment to the expansion of MAT that should give us hope. This past April the leaders of four federal agencies came together to issue a message in solidarity; The heads of NIDA, CDC, SAMHSA and the Centers for Medicare and Medicaid Services (CMS) co-authored a commentary titled "Medication-Assisted Therapies: Tackling the Opioid Overdose Epidemic" that was published in the New England Journal of Medicine that makes clear the need, and their support, for the expansion of medication assisted treatments for opioid addiction treatment as well as the use of naloxone for overdose prevention. The significance of a unified stance among the federal agencies overseeing research, public health initiatives, treatment service delivery and public reimbursement cannot be overstated. These are just a few of the examples of the unprecedented public support MAT has drawn from influential public leaders this year. It is up to us to hold them accountable and make sure their words become deeds, but we can all take a break from the hustle and bustle of the busy American life this holiday season and reflect on the many reasons to have hope and be thankful despite the grim reality of the epidemic in our midst. You are right in saying that there is hope, even though there is an increasing rise in the numbers of opiate and heroin addictions being discovered. 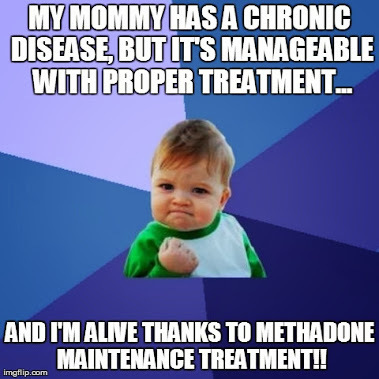 Medication assisted treatment, including Methadone Maintenance Therapy, has proven effective and does offer hope to those seeking heroin recovery.